"I never thought I would ever get to vote — let alone for myself." The former-DREAMEer, now-citizen is an attorney and advocate for immigration and worker's rights. Catalina was born in Medellín, Colombia, where her mother worked at a small community clinic treating tuberculosis. Because of the drug war and civil unrest in Colombia, she and her mother's lives were plagued by violence. Her mother's clinic was shot up; her uncle was kidnapped twice. They lived in constant fear. Finally, when Catalina was 9, her mother brought her and her siblings to the US. While her mother sold empanadas and tamales to provide for her family, Catalina flourished. 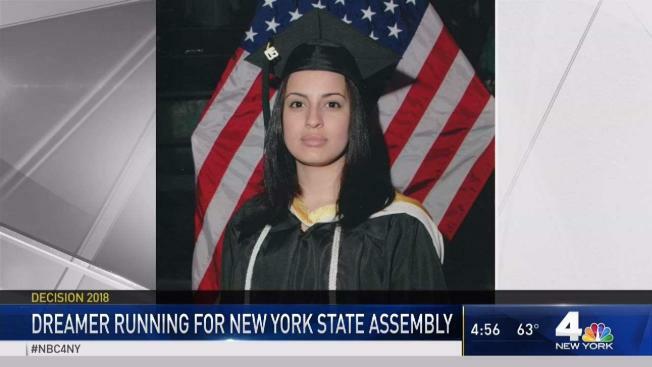 She graduated from college with honors and went on to receive her law degree, inspired by the lawyer who helped her with her own immigration papers. Like him, she wanted to be in a position to help other like herself. As an attorney, Catalina worked for the state to investigate worker exploitation and human trafficking, as well as abuses against immigrants. As Chief of Staff for a New York City Council woman, she helped many immigrants from violent, war-torn countries negotiate protected status. As a candidate, she helped reunite families. Catalina, who is married to an NYPD police officer, will bring the same dedication to representing and improving the lives of those in her diverse Queens community, ensuring they have access to better education, affordable housing, and healthcare.